Student Loan Debt – Who Can Afford a Mortgage Too? Our nation is facing an overwhelming amount of student loan debt – estimated to be approximately $1 trillion – and it is having a serious impact on the economy. While several markets are being affected, the housing market is feeling it the most. Recent college graduates, formerly one of the largest sources of new home buyers, are no longer rushing out to buy a house because they cannot afford a mortgage payment in addition to their student loan payment. A study by the Cambridge Consumer Credit Index reveals that three-quarters of Americans with outstanding student loans say that their debt is large enough that it prohibits them from making major purchases. Not only is the amount of debt prohibitive, any student borrowers who fall behind on their loan payments face difficulty in obtaining credit, including mortgage loans and vehicle loans. Economists have been predicting that the student loan debt load would negatively impact the economy nationwide. When it comes to mortgages, the credit standards for qualifying for a home loan were heightened in 2008. As a result, we are now seeing that first-time homebuyers between the ages of 25 and 34 are the smallest group of purchasers in the housing market in more than a decade. 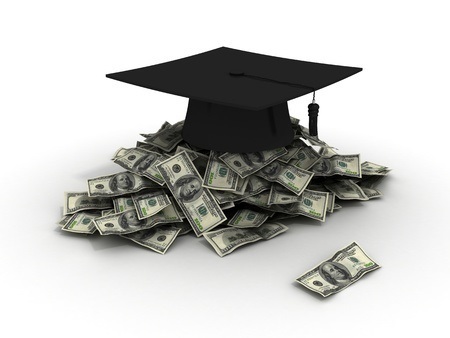 If you are facing burdensome student loan debt, you have likely heard that it can be difficult (but not impossible!) to discharge this type of debt in a personal bankruptcy filing. However, that doesn’t mean that an individual Chapter 7, 11 or 13 case couldn’t help you manage your student loan payments. Whether you benefit from discharging other forms of debt or by reducing your monthly payment while your bankruptcy is pending, there are ways a bankruptcy could help. We will write more on this topic in future blogs, but in the meantime, if you have questions regarding how a personal bankruptcy may provide you with assistance in managing your student loan debt, contact us for a free consultation. This entry was posted in Bankruptcy, Consumer Lending, Debt and tagged bankruptcy, debt, graduates, mortgage loan, student loan on June 24, 2014 by Michael Faro.